Take off from Avignon airport for a flight to the Luberon, the Alpine foothill emblematic place of Provence! And one of these natural sites, the chasm of Fontaine de Vaucluse, Gordes sentry village, without forgetting the overview of the well-known Abbey Notre - Dame de Sénanque and its Lavender fields (in season) you can optionally extend the tour to fly over Roussillon and its ochre career, natural pigments of the Apt Valley. The Luberon ant its Natural Park protected from the world, Gordes will leave you with a great memory. 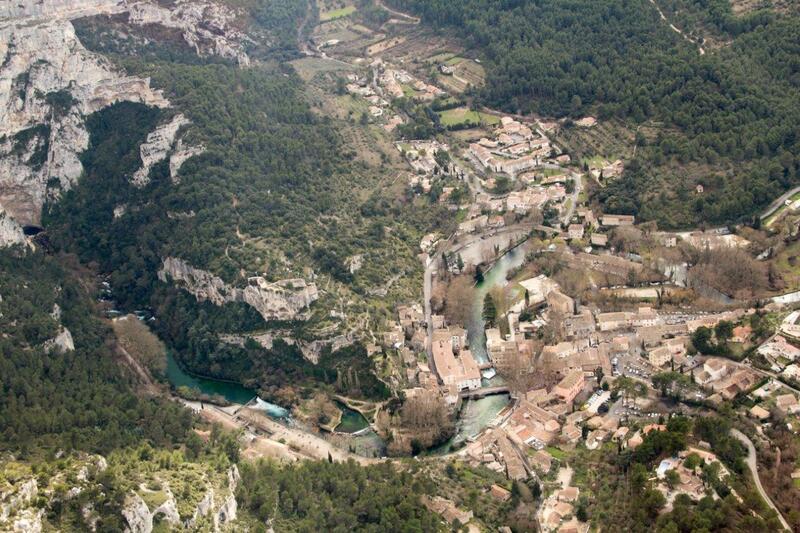 A few days after heavy rains, the Fontaine de Vaucluse source is particularly impressive.